Background/Info: We here welcome the debut album of the Italian duo FLeUR. The band is driven by Francesco Lurgo (programming and guitar) and Enrico Dutto (programming, synths, piano). 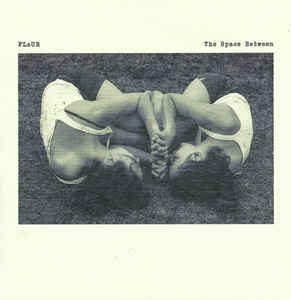 Content: “The Space Between“ covers a wide arsenal of influences, which are mainly driven by a soundtrack/cinematographic approach, but still featuring elements reminding me of trip-hop, dream-pop and pure ambient music with some industrial sounds on top. The work remains mainly instrumental although featuring 2 guest singers. Label owner Daniele Brusaschetto is singing on “Pinzimonio” with a kind of androgen-like timbre of voice while Costanza Bellugi is singing on “Last Contact”. + + + : This album is filled with multiple cuts reminding me of a sweet reverie touch. It creates this explicit cinematographic and ambient sensation, but the work touches other grounds as well. 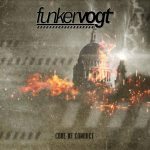 “Pinzimonio” is one of these ‘other’ cuts, which has some Björkk appeal while “Last Contact” remains ambient-like with industrial-minded sound treatments. I also have to mention the remarkable final cut, which again reveals industrial noises mixed with real subtlety and an efficient ambient sphere. The addition of vocals on both sung songs are the best cuts from the album. – – – : I think there a few cuts with a real great potential, which hasn’t maybe really exploited. One of the most significant songs is “Cosmic Debris”. This cut is carried by great sound treatments, but not enough elaboration to become a real noticeable cut. The variety of influences is cool, but maybe not helping the band to get a real defined sound. Conclusion: “The Space Between” is covering different grounds, experimenting with numerous genres without really belonging to one established style. Best songs: “Pinzimonio”, “Last Contact”, “The Sky Is A Gradient”. 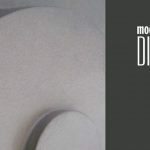 Reissue for Dieter Moebius' 2011 album 'Ding' on vinyl for the very first time!